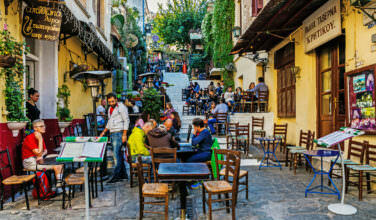 Although Greece is considered to be an “up and coming” wine producer according to worldwide wine aficionados, the country has been producing wine since ancient times. In fact, it is thought that the Greeks were amongst those civilizations producing wine from early on in human history, and they regularly traded and sold this wine with other cultures. In modern times, however, Greek wines had been passed over in favor of other prominent wine regions throughout the world. If you would like to spend some time in Nemea exploring the wineries, the easiest way to go about doing that is to start your journey in the Nafplio, one of the larger towns in the Peloponnese since it is about a 45 kilometer drive from Nemea to Nafplio. 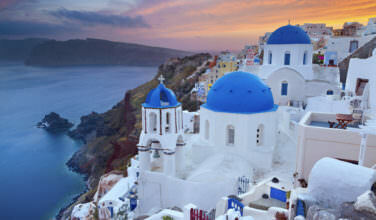 However, it is also perfectly doable to head to Nemea directly from the Athens Airport either by renting a car or taking public transportation. If you rent a car in the Athens Airport, you should be able to drive to Nemea in about an hour and a half, depending on whether or not you hit traffic. If you have plenty of time to explore the Peloponnese and you want to hit multiple spots, you can easily include Nemea on your journey, as well. Nemea is a village that is located south of Corinth and the wine region that surrounds the villages has at least forty wineries. One of the most interesting things about these wineries is that they are part of a tradition that dates back to ancient times. According to archaeological excavations that have taken place in the region, there is evidence that wine has been produced here over 3500 years ago. The main varietal being produced here is the Agiorgitiko grape and is one of the most popular wine grapes produced in Greece. Although it is produced in other regions, such as Attica, it’s really well-known as the primary grape in the Nemean wine region. There are several ways that you can experience the wine region of Nemea. First, you can simply drive around and visit the wineries on your own. Be sure to call or do some research beforehand so that you are sure to visit them whn the wineries are open for tastings. Another option is that you can join a locally operated wine tour, which will take you to several of the region’s best wineries over the course of the day. 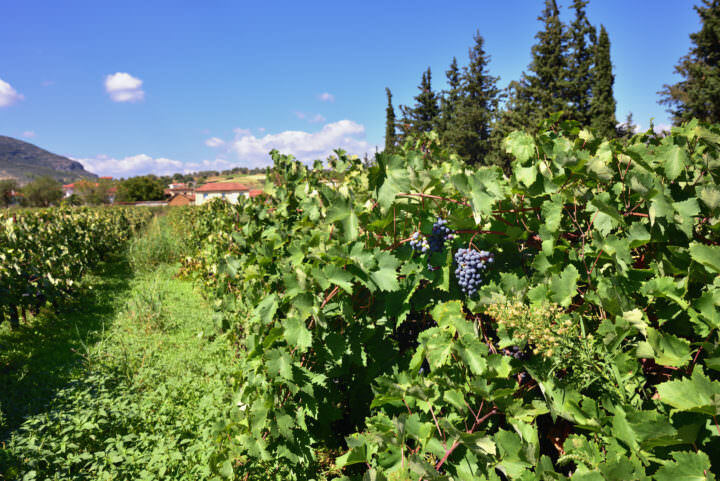 While visiting the Peloponnese in Greece, consider taking a tour of the Nemean Wine Region, which has been producing wine for thousands of years.